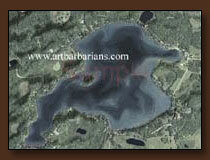 Buy on-line Framed Aerial Photo Prints from ArtBarbarians.com located in Minnesota. Although we focus heavily on wildlife art, there are many other types of prints that we also focus on including sports, but also a new one which is aerial photo prints. For a lot of people, they like to have an aerial photo of one of their favorite places that they go to. It could be a lake in Minnesota or it could be a town that captured special memories. Every time someone looks at that aerial photo, they can get a sense of the place that they love so much. With so many improvements in aerial photography, you'll find these to be very satisfying for your office or home interiors. It lets people know that your life extends beyond the boundaries of the workaday world and the special places that you have. These are available for over 600 lakes, rivers and towns, and these high resolution aerial photographs provide a level of detail that allows docks and even many buildings to be seen. U.S. Geological Survey (USGS) elevation data, and where available depth information, has been superimposed on the image resulting in a color accurate stereographic image of stunning color, detail, depth, and clarity. Also at your option, and where depths are available, lake prints can include 3D depths contours that provide a visual impression of the lake depth or, at your option and at no additional charge, no depth information. If you want a unique image of that special place, one that no one else has, then call us to get you what you would like. For an additional processing fee we can create an image of almost any area in the state of Minnesota. Although our standard images are centered on one of Minnesota's lakes or towns, 'custom order' images can be centered on your cabin, a river, a farm or any other geographic feature. You can select the area to be displayed by either marking a map, giving us the PLS location (township number, range number including east or west, and section number) or providing us with the GPS coordinates. With your help we can even work from an address. We will produce a "proof" of the image that you can review before we produce the final print. For best results the area should be at least one square mile in size. You may want to browse our general art prints and you'll find that our selection of prints is one of the deepest on the Internet, with many artists listed here. 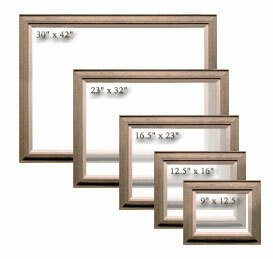 Along with our aerial photo prints, we're adding new paintings and prints everyday. It's exciting to be a part of an offering which brings people such a sense of satisfaction and joy. The colors, the depth, the natural settings, all of this makes this art we care about so special. We have many personal relationships with many of these artists that we exhibit and sell, and they trust us to portray their art in a correct manner. Those relationships give us the advantage of getting you some of the best new art first, so you can add to your collection before what you want is gone. Call us if you have any questions about anything you see on our website or need to know more about aerial photo prints. We're happy to answer your questions personally regarding availability or something special you're looking for.